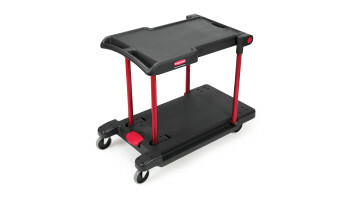 Tough, resilient Duramold™ decks won't warp, dent, or rust and carry up to 2,500 lbs of material. 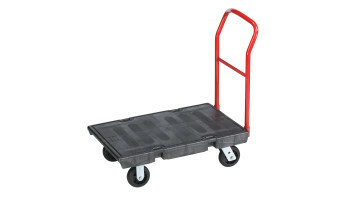 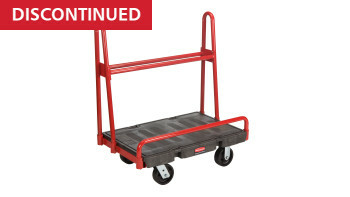 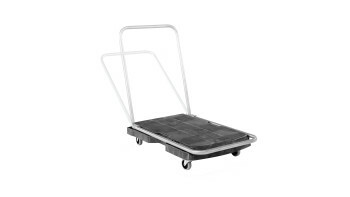 24" x 36"24" x 48"30" x 60"40" x 70"
The Rubbermaid Commercial Heavy-Duty Platform Truck is constructed from Duramold resin and metal composite for durability and strength. 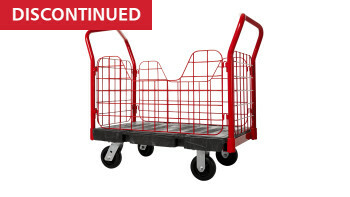 The trolley has a 1000-pound capacity. 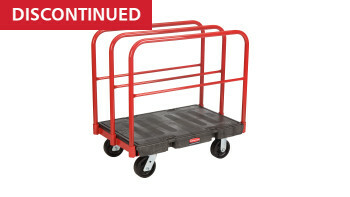 24" x 36"24" x 48"30" x 60"
The Rubbermaid Commercial Triple Trolley efficiently transports large bulky loads and then folds flat for easy storage.